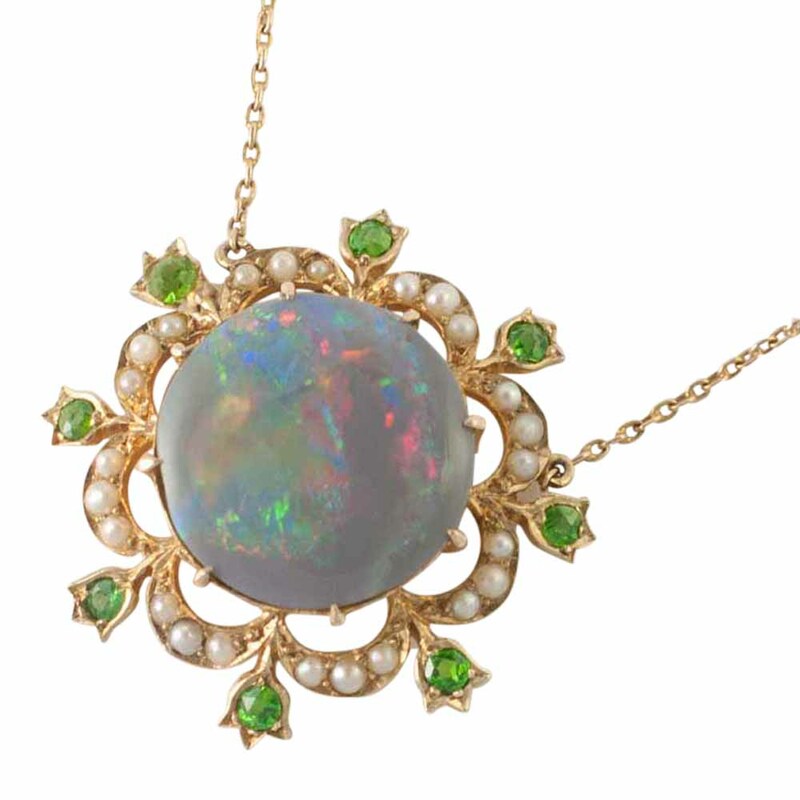 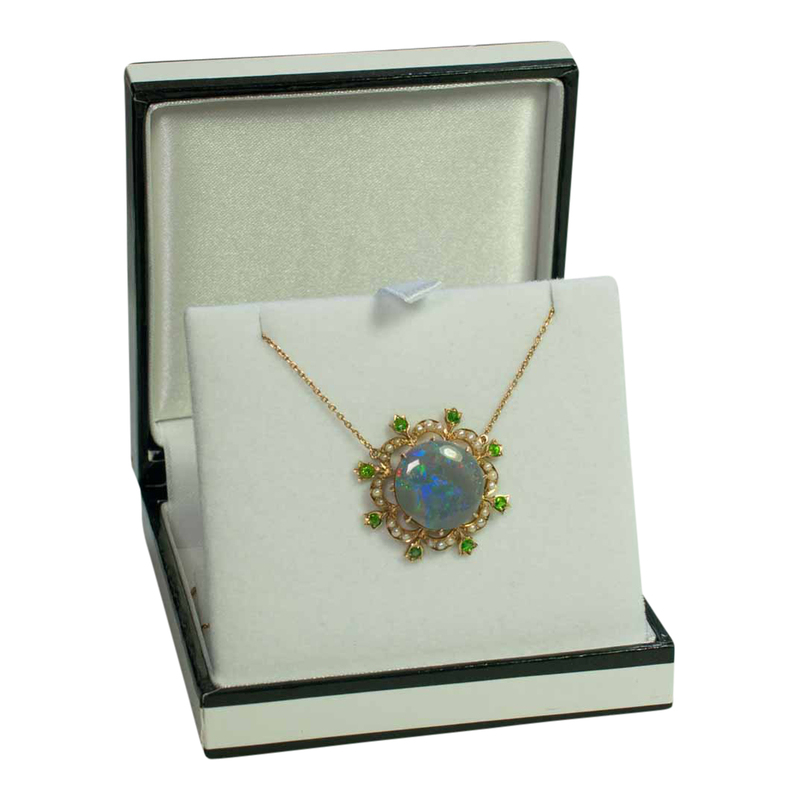 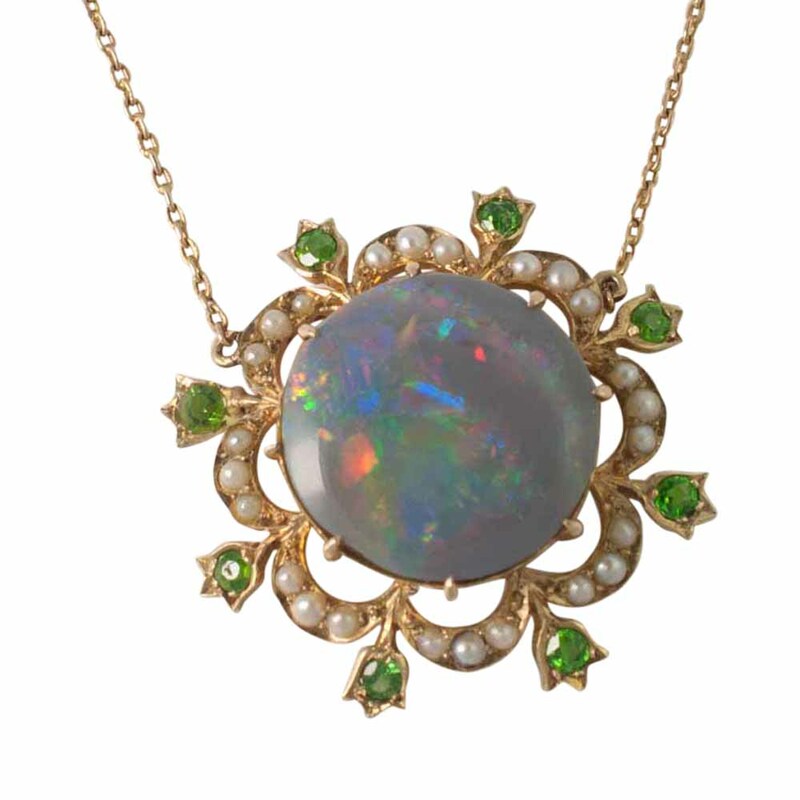 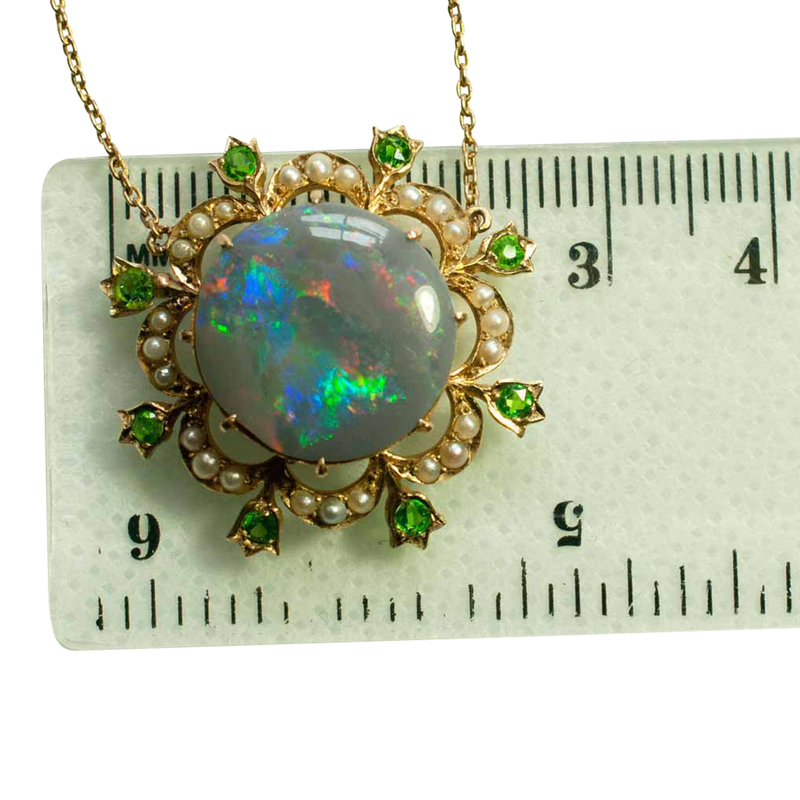 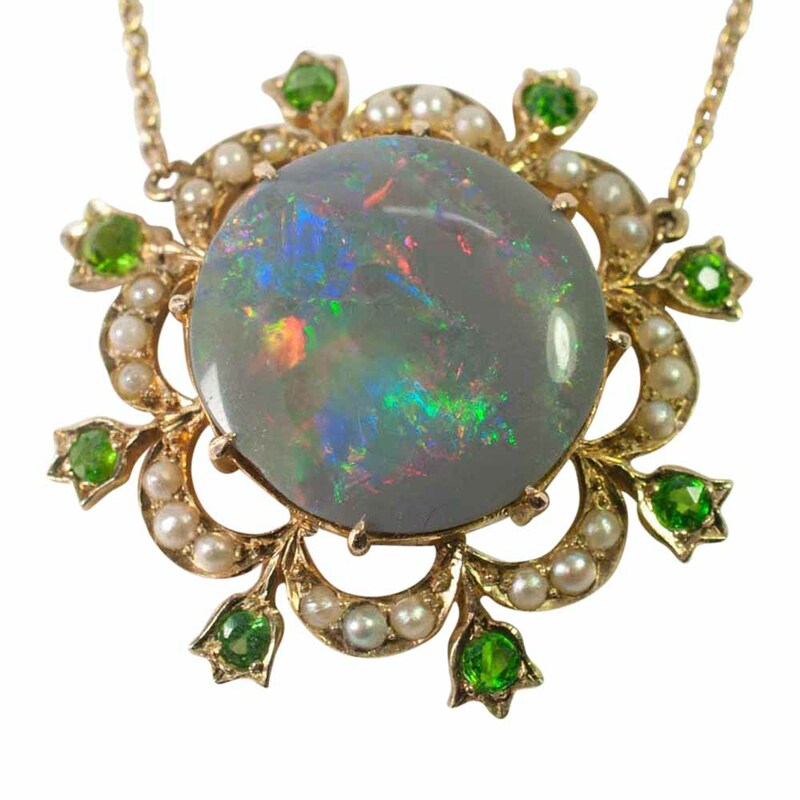 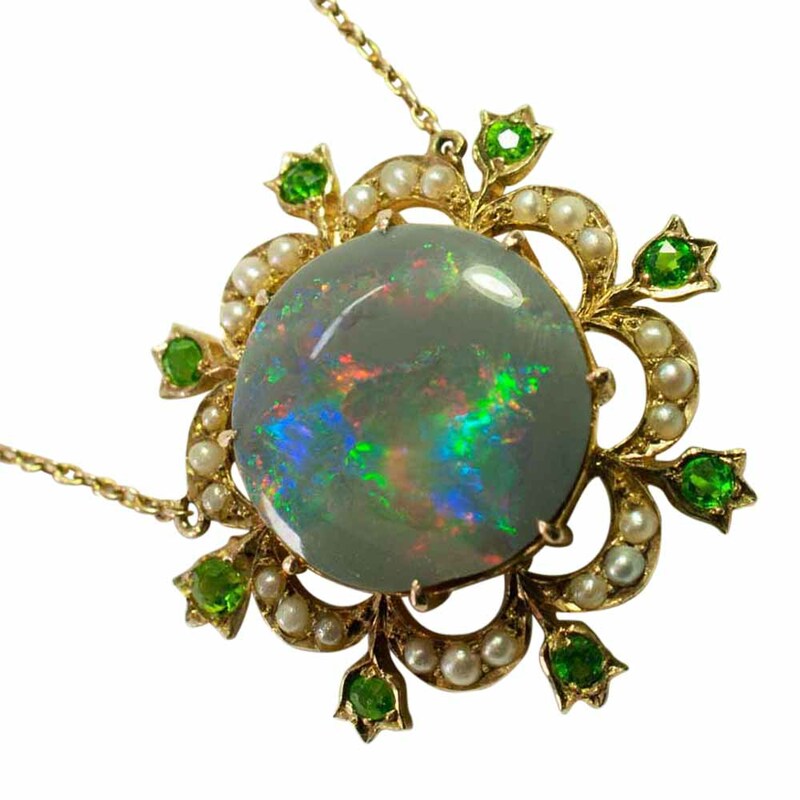 Edwardian black opal pendant; the opal has a full range of colours with flashes of red, yellow, green and blue. 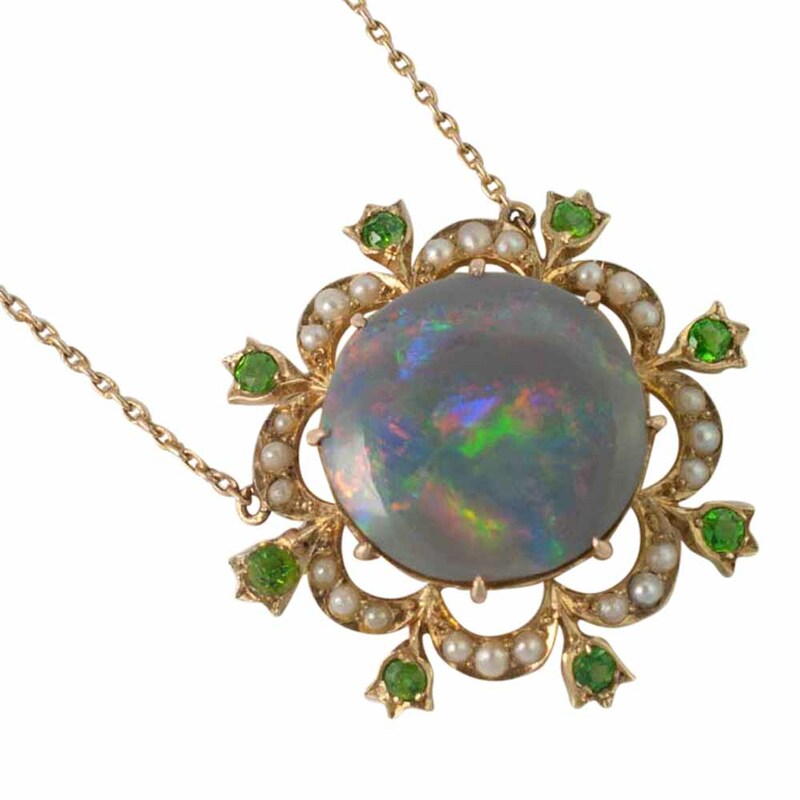 It is surrounded by a border of split pearls and an outer row of demantoid garnets set in tulip mounts. 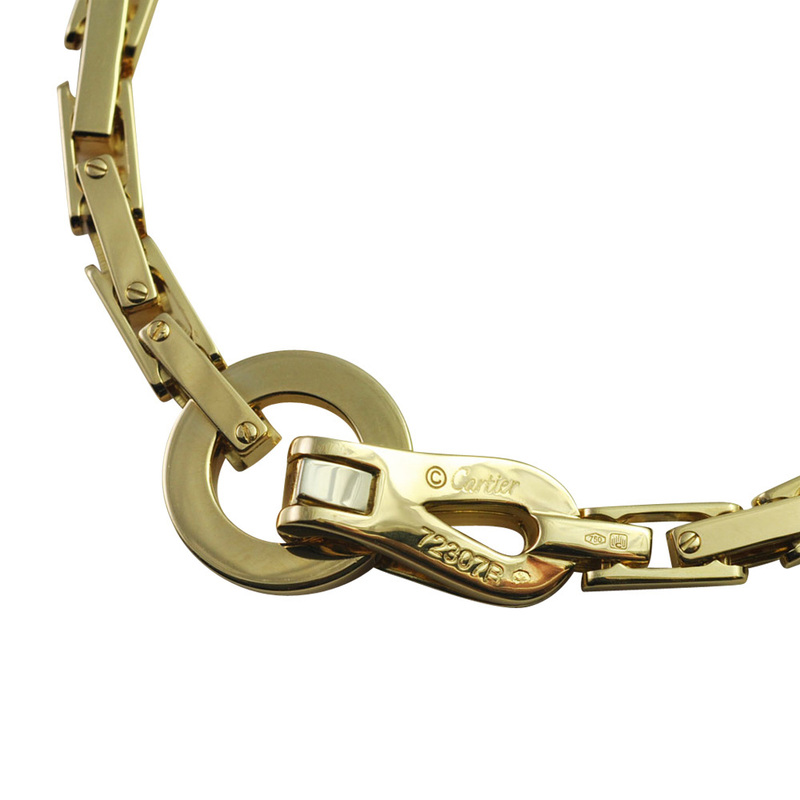 It has a fixed chain from links on each side. 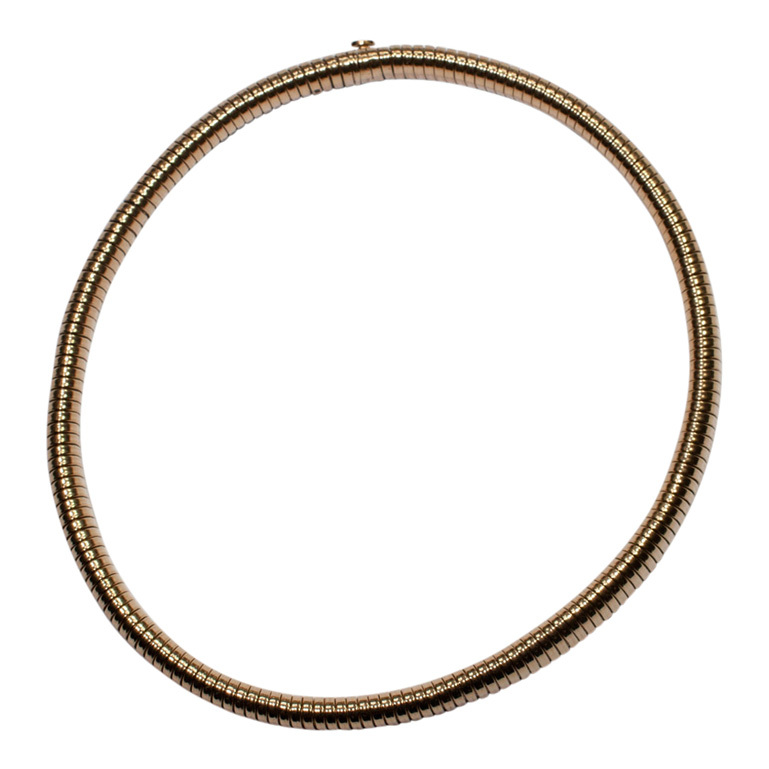 Tested as 15ct gold. 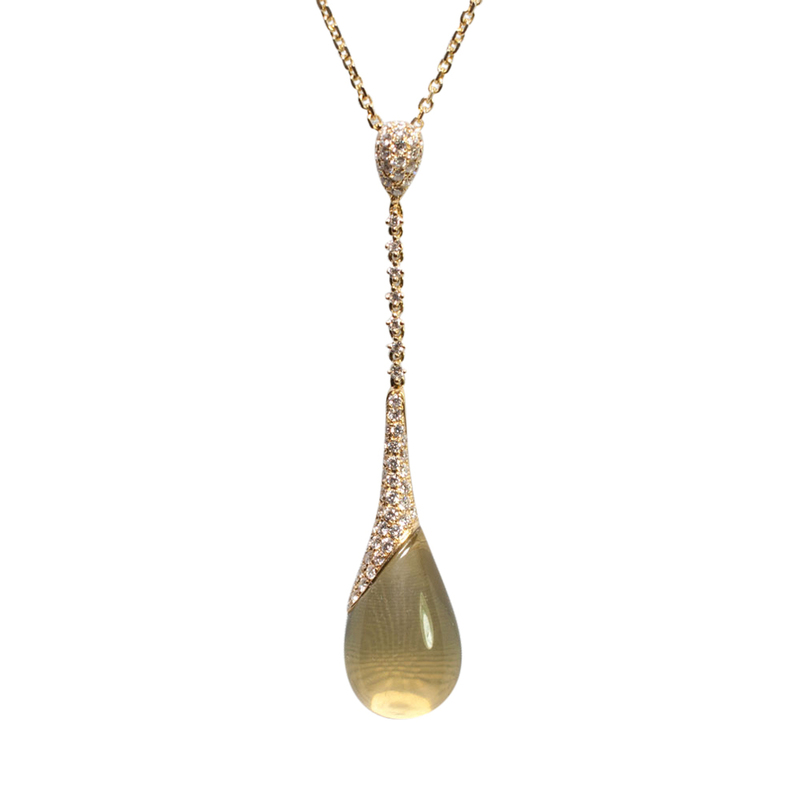 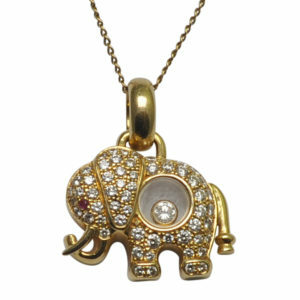 Weight 6.3gms; diameter 2.6cm; length from top of the chain 38cms/15″. 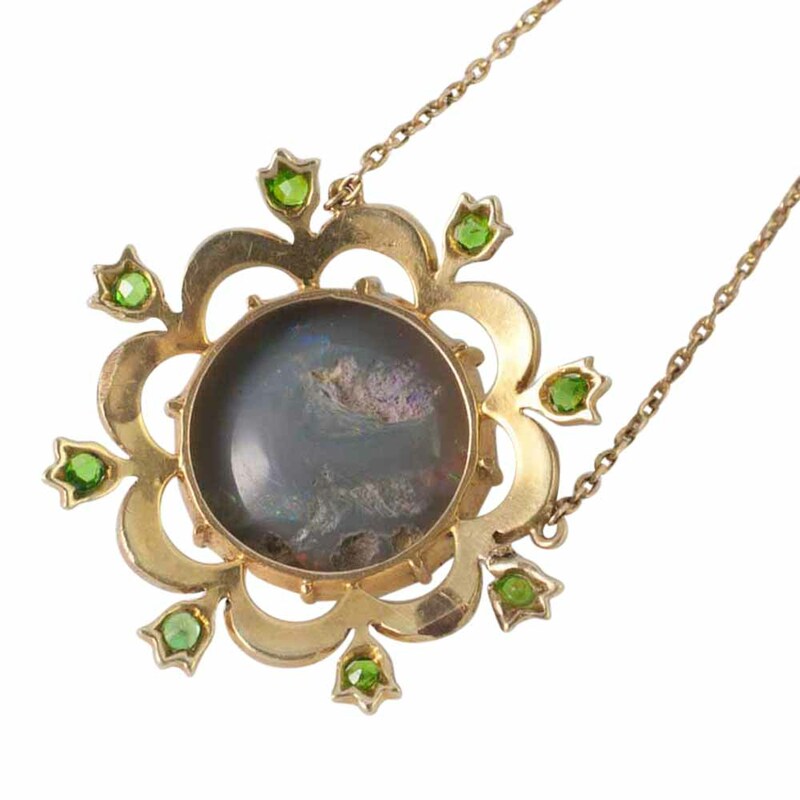 This pendant is in lovely vintage condition.